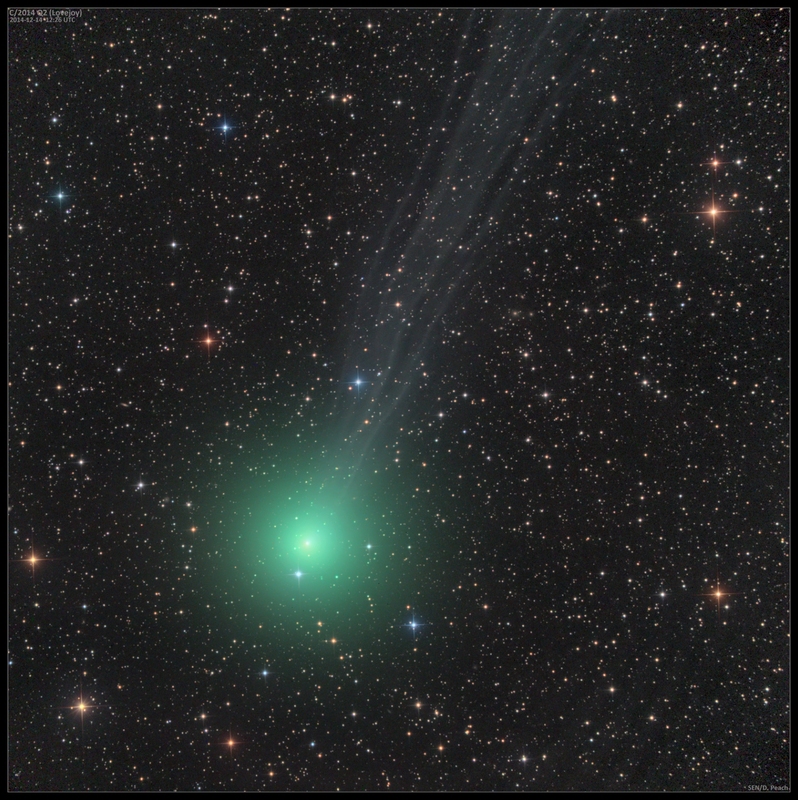 Here is another image of Comet C/2014 Q2 (Lovejoy.) This one really shows the delicate tail streamers clearly. I also see reports it has been seen visually with the naked eye. It rather reminds me of ISONs outburst appearance with its broad ion tail of streamers though isn't quite as bright and dramatic. None the less it nicely fits the description of a "broom star." 20"CDK with FLI camera. LRGB image.